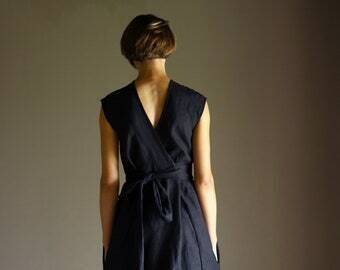 Please, refer to item measurements in our Item Size Guide below. 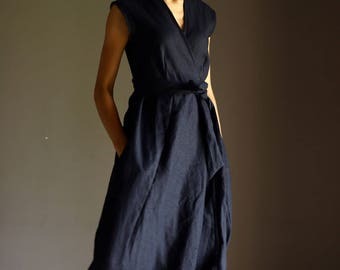 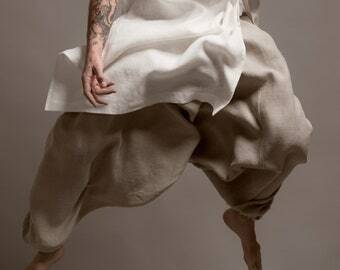 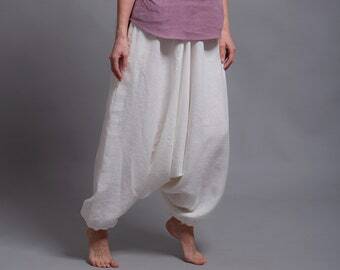 Linen Harem Pants with Side Pockets, Wide leg Linen Pants for Woman, Man, Unisex, Regular, Tall, Plus size, Custom Made. 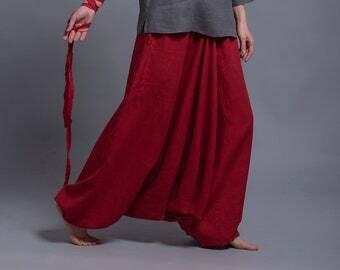 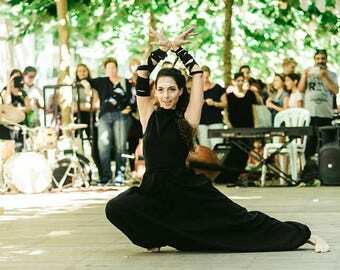 Boho stylish harem pants and skirt together with elastic waist. 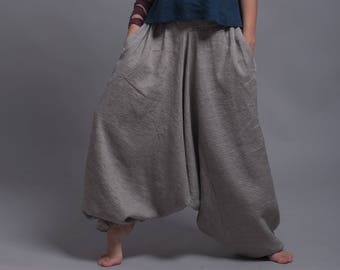 Unique designer pants.